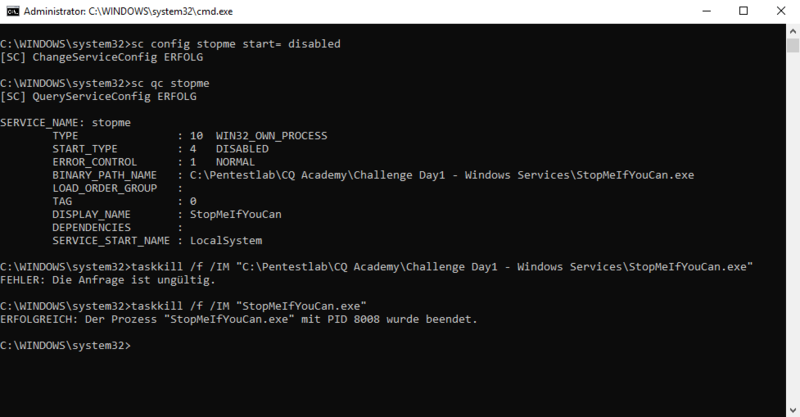 When we want to understand the permissions of windows services or specially have to deal with a service that we can’t manage as a local Windows Administrator we get in touch with a strange term called „SDDL“. It stands for Security Descriptor Definition language and is a form of text strings that contains security informations for one or more object. 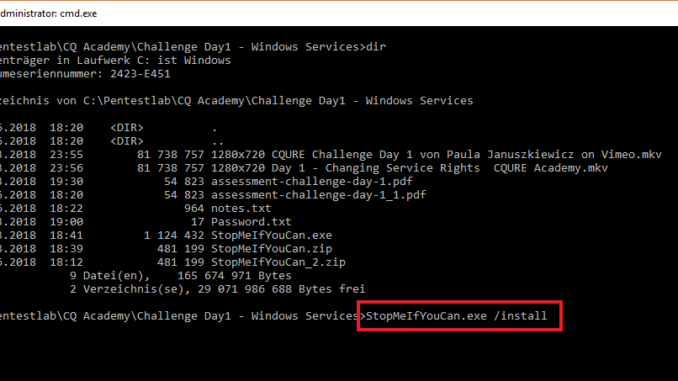 Let’s play with a prepared service that we can start, but not stop as a local windows Administrator. To install the service simply use the parameter /install. First let’s see if we can stop this service when we start another cmd with localsystem permission. I do this with help of PsExec, one of the sysinternals process utilities. With the command sc sdset we can overrite permissions, but if I have a closer look now on the SSDL of that service I took notice that BA and SY have allready permission to stop that service! Seems that I was on the wrong path and this Service is not stopable because of a permission thing, it’s by design! Which command may be used to change permissions of Service? How can we specify service permissions to be used with sc.exe sdset command? How can you specify an AD Group to include it in SDDL? How localsystem is presented in SDDL?